The recent flare up of Ebola in West Africa is obviously a cause of concern based purely on the media attention given to it, especially in cases that are appearing in Western nations. The general public is already feeling highly vulnerable with the ISIS threat in Syria and Iraq and with firm memories of the recent GFC. Astrology can provide insights into many situations, like a relatively accurate ‘weather report’. In this case, I am using the Ebola epidemic to demonstrate the efficacy of macro-astrology. Can the 2014 Ebola epidemic be linked to any of the sub-periods of the Aquarius age in a meaningful way? My methodology is to take a twofold approach. Firstly, what zodiacal sign or signs can be associated with previous major epidemics in general and secondly, what are the active signs present in the world during the current Ebola outbreak? Finally, can a link be made between the two approaches? Based on Rex E Bill’s “The Rulership Book”, epidemics are linked to Mars and Pluto with a possible association to Neptune and the 12th House. In macro-astrology only zodiacal signs are employed, so converting planets and houses to signs, the associations pertaining to epidemics are primarily linked to Aries and Scorpio (Mars rules Aries and Pluto rules Scorpio) with a possible association to Pisces (Neptune rules Pisces and the 12th house related to Pisces – the 12th sign). In addition, the Ebola virus is transmitted via bats that are carriers but do not get afflicted by the disease. Bats are tentatively assigned to Pluto, the ruler of Scorpio. The Aries-epidemic connection makes sense as Aries is commonly associated with the primary indicator of well-being and health. Scorpio is the sign of death and commonly associated with sudden negative changes of fortune. Pisces is the sign of ‘endings’ and general calamity and though Rex E Bill is unsure of the association of Pisces with epidemics, my own research strongly suggests a connection. Pisces was in full calamity mode when the Black Death swept Europe in the mid-1300s. At least one quarter of Europe’s population is believed to have perished and some villages lost around 50% of their population in a matter of weeks. This disaster occurred in a Pisces hotspot towards the end of the Pisces age in the Pisces sub-age (1253-1431) in the years 1346–53. This is Pisces at full strength and this calamity remains unparalleled in Europe to this day. However the Pisces sub-age is the same period of time as the Aries sub-age overflow. Therefore even elementary evaluation of the Black Death suggests a possible connection to both Aries and Pisces, supporting the research of Rex E Bills. The years 1346–53 are also in the Scorpio-Cancer sub-age decan (c.1312-1371). The big question is – was the Black Death associated with Cancer, Scorpio or both? The years 1346-53 is a period of seven years – suggesting that the Black Death is also associated with a micro-age with the order of magnitude 15 years. The Black Death occurred totally within the Virgo-Leo micro-age (1342-1356) with Virgo noted as ‘the health sign’. However the magnitude of the disaster of the Black Death affected Europe for well over a century, if not more. So this suggests the emphasis should remain with the sub-ages and sub-age decans. Like airplane crashes, there are epidemics occurring all the time but the most recent major epidemic since the Black Death was the 1918 flu pandemic (January 1918 – December 1920) commonly referred to as the Spanish flu. It infected 500 million people across the world, and killed about 50 to 100 million people – 3% to 5% of the world’s population. This disaster occurred in another Pisces hotspot – the Pisces-Aquarius micro-age (1910-25) in the Pisces-Scorpio sub-age decan (1910-70) of the Scorpio sub-age (1791-1970). The Pisces hotspot in 1910 is the strongest for Pisces in around 500 years and will not be partially matched again until around 2566, and even at that future date, it is unlikely Pisces will be as strong as it was in the period around 1910. The commonality between the 14th century Black Death and the Spanish flu of 1918 are the signs Pisces and Scorpio with the major emphasis on Pisces. The one notable pandemic since 1918 is the HIV/AIDS pandemic that is believed to have killed up to 30 million people, mainly in Africa since the 1960’s. The 1960’s was at the tail end of the Pisces-Scorpio age-decan (1851-1970) and very near the peak expression of Scorpio at the end of the Scorpio sub-age (1791-1970). Cancer does make a minor appearance as the Scorpio sub-age ends with a Scorpio micro-age (1955-70) with the first decan the Cancer micro-age decan and overflow (1955-65). The AIDS epidemic however is not linked solely to the Scorpio micro-age (1955-70) but to the whole Scorpio sub-age overflow (1970-2148) and suggest that this epidemic has a long time to ferment. However, it has come under relative control and is no longer perceived as a daunting disaster ready to befall the world. Despite the outbreak of the Ebola epidemic in 2014, it has a similarity to AIDS inasmuch it has been present since at least 1976 with various outbreaks between 1976 and 2014. Therefore, similar to AIDS, Ebola can be linked with the fortunes of the Scorpio sub-age overflow (1970-2148). There are two Scorpio hotspots in the 21st century, and the first one is the Scorpio micro-age decan and overflow (2005-December 2014). The current Ebola outbreak has also occurred in a Scorpio mini-hotspot within the 10 year Scorpio major hotspot due to a Scorpio nano-age decan and overflow sitting within the Cancer nano-age (October 2013 – December 2014). The Scorpio nano-age decan and overflow (February to December 2014) is what I call the sting in the tail of the Scorpion. This is where the current Ebola epidemic has appeared. What does this tell us? Firstly, in the previous major epidemics examined (the Black Death and Spanish flu), the two key signs were Scorpio and Pisces, with Cancer making a smaller appearance. The 2014 Ebola epidemic is certainly stimulated by Scorpio, and Cancer makes a reasonable appearance near the 2014 peak of the Cancer micro-age and overflow (2000-2014-2029) but there is no concentrated Pisces in sight! This suggests that the Ebola epidemic is a localized epidemic that will not create a (Pisces) apocalyptic scenario (that was reserved to the first half of the 20th century). It should be noted that the source of the Ebola epidemic is due to people eating tainted bush meat (infected by bats) compounded by the less than desired hygienic standards and medical facilities of West Africa. Therefore the loci of the epidemic will always be in Africa and the spread of the disease from person-to-person is a secondary feature of this epidemic. Whilst hygienic measure may be below standard in Africa, it can be expected that the application of stringent hygienic standards in western nations will therefore having greater control on the spread of the disease. The big unknown in this situation is the role of Cancer. If Cancer is a key ingredient in the astrological signature for this 2014 Ebola epidemic, then it could run at current elevated levels for an additional one-and-a-half year up to seven to 15 years. There is evidence that Cancer is involved. One key feature of the world when it was under the influence of the major Cancer age-decan overflow (713-1433 AD) in the previous Pisces age was naturally the Middle Ages with knights in shining armor defending castles with moats. These all have strong themes associated with Cancer. The Ebola health care workers are the new knights, except this time they are wrapped in waterproof protective clothes in place of knights’ armor. It is Scorpio with the assistance of Cancer that is driving the epidemic. This suggests the current outbreak could be similar to AIDS and may affect the next seven to fifteen years if the Cancer micro-age overflow (2014-29) is the driving force. Ebola may be a nuisance for another one-and-a-half centuries and will flare up a number of times, especially whenever a Scorpio hotspot appears. The next Scorpio hotspot is not due until 2059-69, but Ebola outbreaks are not limited to Scorpio hotspots. If Scorpio is the driving force the epidemic may only last a few more months but always ready to break out a number of times after a dormant period over the next one-and-a-half centuries. 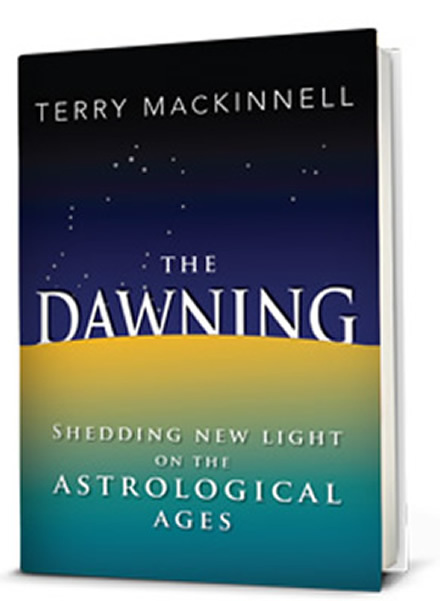 ‘Macro-astrology’ is, as the name suggest, ‘big-picture’ astrology based on the astrological ages such as the Age of Aquarius. Rex E Bills collated the associations used by astrologers with as many topics as possible without verifying the validity of these associations. Nevertheless, his approach has proved to be relatively accurate. The Pisces micro-age decan and overflow within the Scorpio micro-age covers the period 1960-70.